Mega Moolah Online Slot Review – The Record Holder! Mega Moolah has reached stardom thanks to its key advantage and selling point – by being a progressive jackpot. A few years ago, it became the record-breaking progressive jackpot slot, with a prize that can change anyone’s life and put them in the news headlines. However, there’s more to it than just a continuously growing progressive jackpot. After all, it has to be continuously enticing, in order for players to pursue the first prize. Our Mega Moolah online slot review covers the design, game-play and our unbiased opinion on its payouts. The Mega Moolah is Better than Entire National Lotteries! It is one of the most popular progressive online jackpot slots in the world. Mega Moolah was developed by Microgaming, one of the largest online casino game studios in the industry. It features a simple design, a generous paytable, but the most attractive aspect of it, is the ever-growing jackpot prize. Mega Moolah has 5 reels and 25 paylines in total and the reels show 3 rows of symbols. The 5×3 symbol grid has become standard in the gaming industry, and for a very good reason. For starters, this jackpot slot has a few extra surprises in store for slots fans. That being said, you don’t have to win the jackpot to enjoy playing Mega Moolah. Although, it does have a decent track record, and it has turned quite a lot of players into millionaires. Microgaming is still pushing it strong, even years after its release, so much that there are other slots that are part of the Moolah jackpot line of slots. Then again, we should mention that no other slot of this family has managed to come close to what Mega Moolah is. The safari theme has become a cliche, but when it was released, there weren’t that many slots that depicted the African wildlife. Considering the fact that this is a slot launched back in 2006, we can’t really compare the audio and the graphics with what we get to see in recently released slots at top online casinos. How to Play Mega Moolah Jackpot Slot? Select the Number of Active Paylines (you can do so by clicking on the numbers shown adjacently of the reels). Adjust the Coin Size by clicking on the “-“ and the “+” arrows. Spin the Reels and join the race for the Mega Jackpot! It’s pretty straightforward, but the most important rule to note, is that there isn’t a minimum bet requirement to be eligible for the Mega Jackpot. In other words, ANY bet amount gives you a chance to win the Mega Jackpot. In addition, any bet also makes you a potential winner of the secondary jackpots, which are also quite attractive. There’s no lack of motives or inspiration in the African savannas. After all, it’s the cradle of life! All of the symbols are based on animals that are synonymous with the African continent. However, the symbols you want to see the most are the Lion and the Monkey. The Lion is one of the high paying symbols, but it’s also the Wild, meaning it substitutes for any other symbol (except the Scatter) to form a winning line. Speaking of the Scatter, the Monkey can trigger a bonus game, which we’re going to discuss in the next section. As a teaser, there are 15 Free Spins! Now, you have a chance to win any of these jackpots with any bet, but the higher the bet amount is, apparently, the higher the chances are. A Wheel appears on the screen and you win one of the four guaranteed jackpots. It resembles the “Wheel of Fortune”. Besides the progressive jackpots, which are the main reason why slot players are so into Mega Moolah, there’s also a bonus game which you can activate by landing 3 or more Scatter symbols. 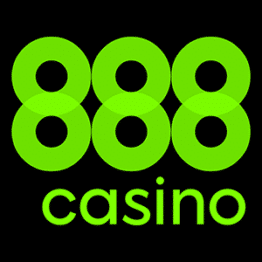 You get 15 Free Spins, with a multiplier of a factor of 3, 4 or 5. On top of this, the bonus game can be re-triggered and you can win even more free spins. Although this makes the game highly volatile, at the end of the day, you’re in it for the progressive jackpots. It’s important to note that any Wild wins are doubled! The Lion ends up being the key source of wins in regular play. The bonus game (meaning the Free Spins) and the Wild symbol, make Mega Moolah one of the most rewarding progressive jackpot slots, even if the jackpots are not taken into consideration. Where to Play Mega Moolah Online Slot? Progressive jackpot slots enjoy a special treatment at online casinos. Fortunately, you’re based in the UK and have access to all popular jackpot slots, including the Mega Moolah slot by Microgaming. However, players from certain regions do not have access to jackpot slots by default. Now, since you’re from the UK, you have a lot of options where you can play this great online casino slot. Below, you can find several outstanding, top online casinos which will give you access to Mega Moolah and all other attractive progressive jackpot slots. These are also online casinos with PayPal. Mega Moolah Slot Alternatives: Which Slots are Similar? Mega Moolah is at the top of the game, meaning only a few can match its prestige. The best alternative is Mega Moolah Isis, which instead of a safari theme, shows an ancient Egyptian theme. Of course, this also gives you a shot at the most prestigious jackpot in the industry. However, if you’re looking for a different progressive slot game, yet want a chance at winning a multimillion jackpot, you should consider NetEnt’s jackpot slots. Such as Mega Fortune and Arabian Nights. Mega Fortune is Mega Moolah’s fiercest rival, whereas Arabian Nights are sort of a classic, launched in 2005, before Mega Moolah even existed. This strong presence for more than a decade, says a lot about its prize potential. If you want our opinion, we’d go with Mega Fortune as the 2nd alternative following Mega Moolah Isis. Mega Fortune is available at the majority of online casinos, whereas Arabian Nights is kind of an exotic slot in terms of availability. If you went through the whole Mega Moolah slot review, by now, you get the idea how alluring and popular it is. It has a reputation and status, which keep other jackpot slots at bay. Mega Moolah is Microgaming’s flagship game, next to Immortal Romance. Strangely, since it went down in history as a record-breaking online jackpot slot, other online casino game producers do not even try to release their own new jackpot game, and position it in such a way, to compete with Mega Moolah.